Possibly the most anxiety-provoking aspect of launching or running your translation business is deciding how much to charge. Charge too much and you’ll be priced out of the market; charge too little and you’ll be working overtime just to make ends meet. The easiest way to remove the anxiety from this decision is to gather some objective data such as how much money you would like to make and how much it will cost you to run your business. Adding to the pricing confusion is that most people are used to calculating their wages by the hour, rather than by the word. 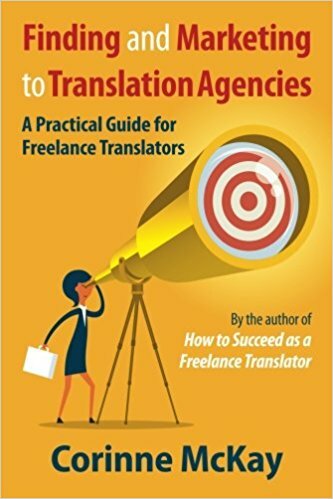 Beginning translators often don’t know how to estimate how long a translation will take, so don’t know how to set their per-word rates in order to reach their target hourly rate. Whereas an experienced linguist knows approximately how many words per hour he or she translates when working on various types of documents: general, technical, highly technical, handwritten, hard copy, HTML, etc., there is no way to know this if you haven’t done much translation; you simply have to time yourself while you translate to see how fast you work. In general, a translator who is a relatively fast typist (or uses speech recognition software that works well) can translate 400-600 words per hour or 2,000-3,000 words per day, but this is only a ballpark figure. When working on a highly technical document, even an experienced translator might work as slowly as 150 words an hour, and I once worked on a project where I consistently translated up to 1,000 words per hour because the document was non-technical and very repetitive. Subtract your non-billable time, normally 25-50% of your total work time, for marketing, accounting, meetings, slow work periods, etc. Other costs of operation such as work-related child care, office rent, website development, etc. Once you have this hourly rate worksheet completed, you’ve completed a major step in pricing your translation services. Your next step is to determine how you’re going to arrive at that hourly rate. For example if you want to earn $60.00 an hour, you can achieve this by translating 600 words per hour at 10 cents per word, 400 words per hour at 15 cents per word or 300 words per hour at 20 cents per word. In order to do this, you need to know how fast you work (the only way to figure this out is to time yourself while you do some translations) and what the range of rates for your language pair(s) and specialization(s) is. For example, you might look at rates surveys on online translation marketplaces, the ATA compensation survey or look at websites of translators in your language pair to see if they publish their rates. Some translators, although not all, are also willing to discuss rates with their colleagues. Knowing how much you need to charge also tells you what type of clients you need to look for. For example, if your hourly rate goal is high, you may need to market to direct clients rather than to translation agencies, or at least to very high-end translation agencies. In working with beginning translators, I find that work speed is often an issue for them and it impacts their work in a few ways. First, a translator whose work is solid but who translates 250 words an hour is going to struggle to make a living on typical agency rates. Second, agencies understandably like working with translators who can turn around large documents in a short amount of time, and won’t be thrilled to hear that it will take you four days to finish 5,000 words. Yet another element that enters into the rates equation these days is currency exchange rates, especially for translators who have clients in the euro zone. With today’s news of the euro breaking the longstanding barrier of US $1.50, Europe-based translators are taking a big hit when paid in dollars, and those of us in the US are staring in disbelief at the calculator as that 2,000 euro invoice turns into $3,000. Wherever you think the dollar is headed from here, it’s something to take into consideration in your pricing equations. Are your marketing materials missing critical information?